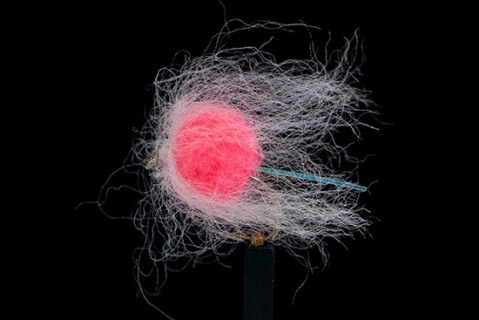 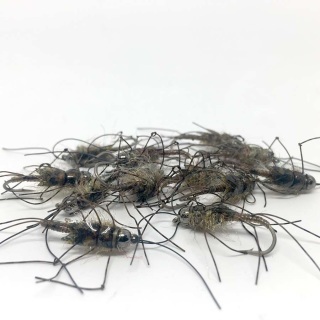 Sick of flies that fall apart quicker than you can tie them on? 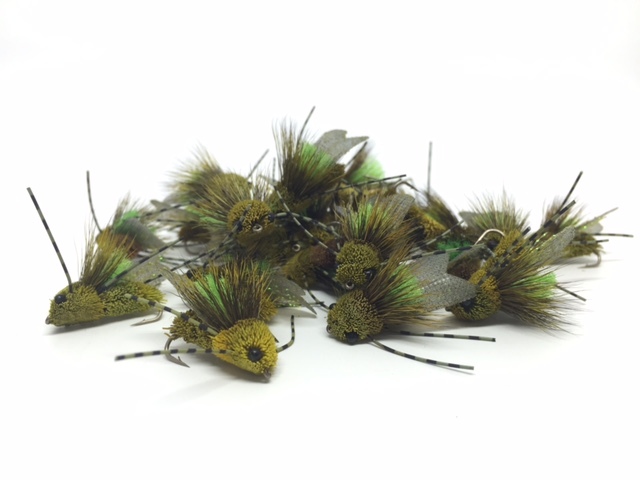 Buying Manic flies is the answer. 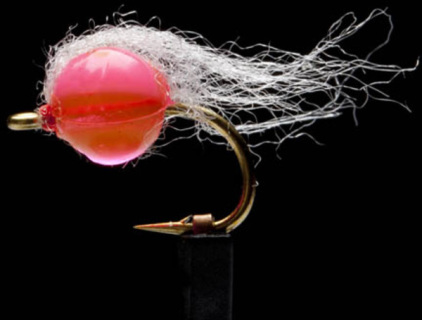 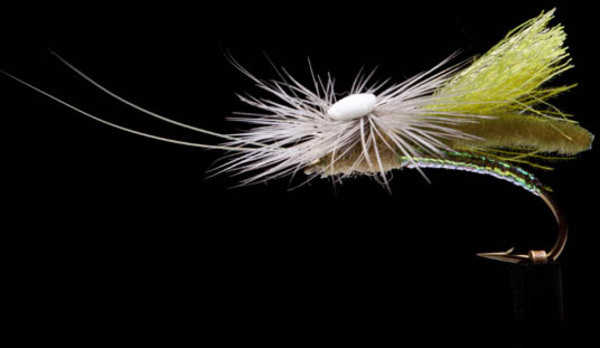 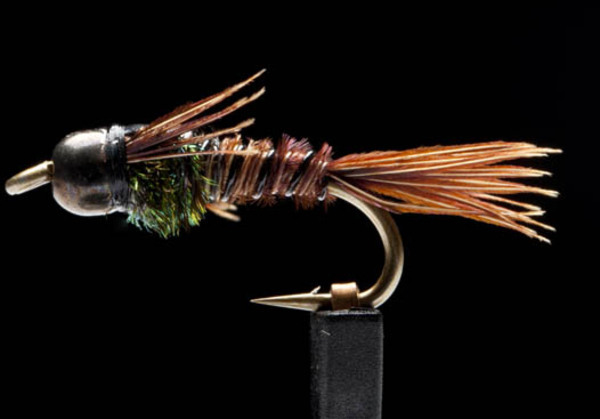 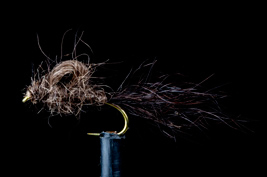 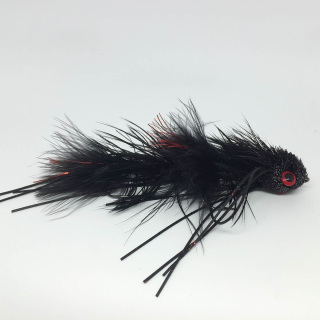 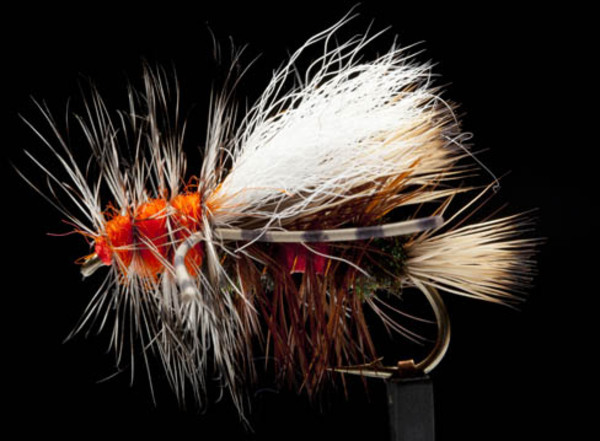 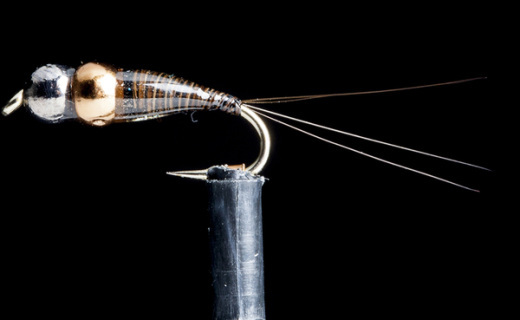 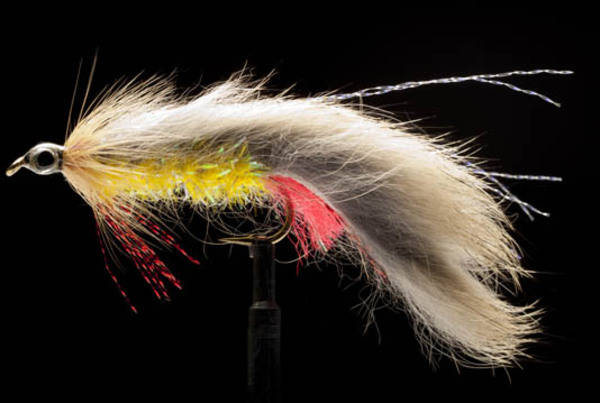 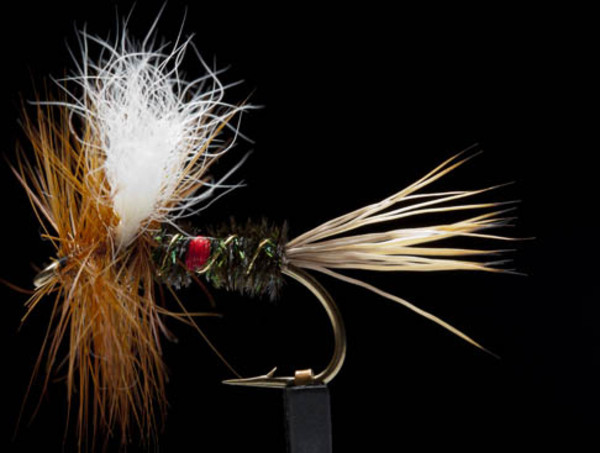 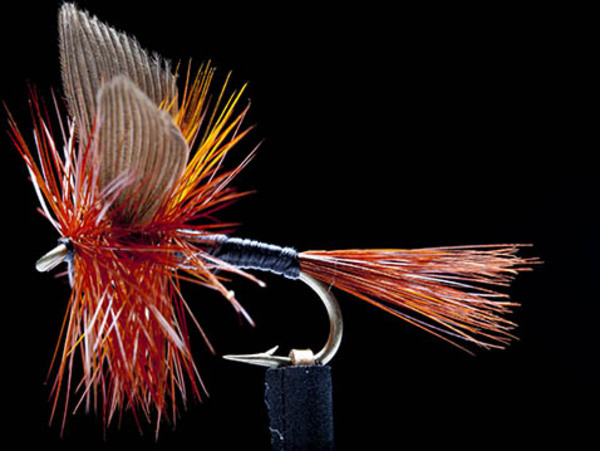 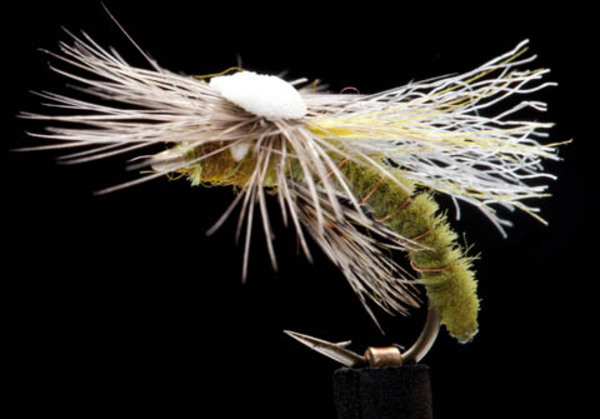 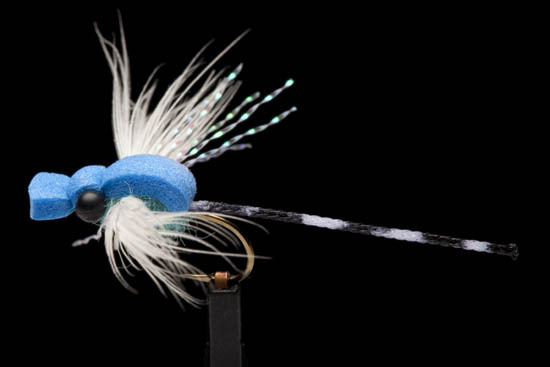 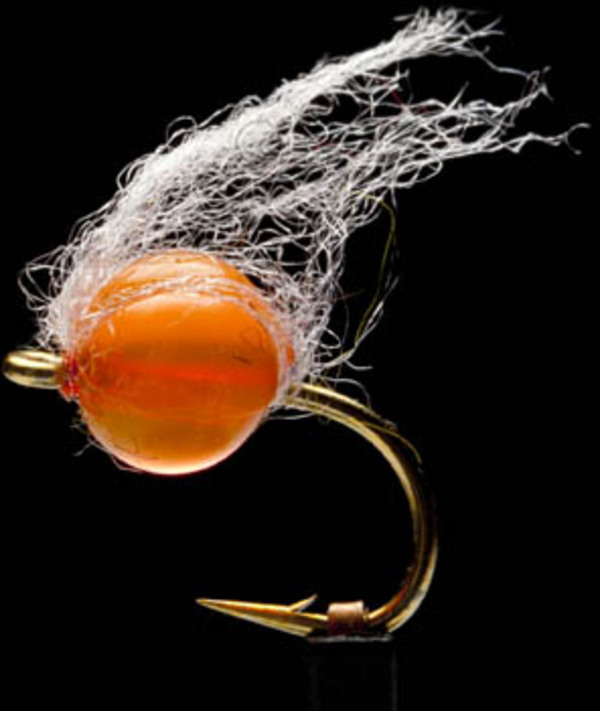 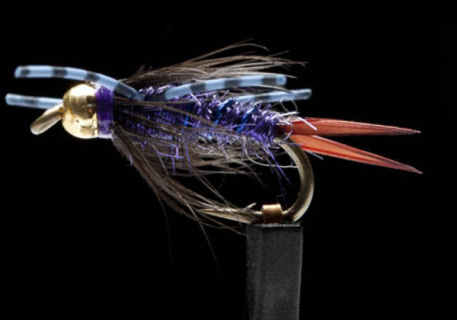 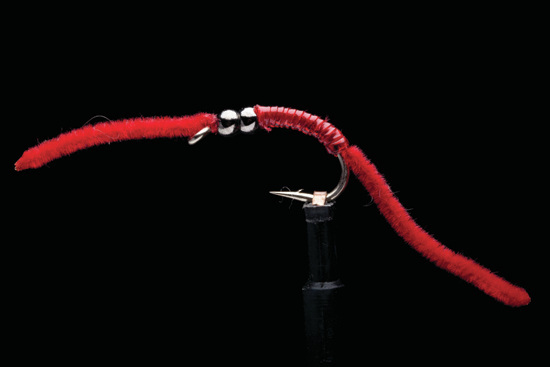 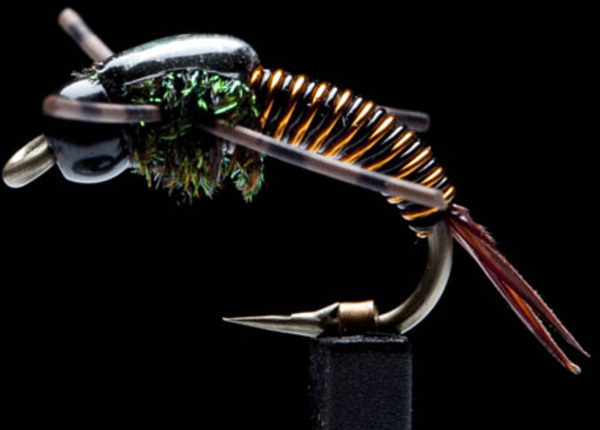 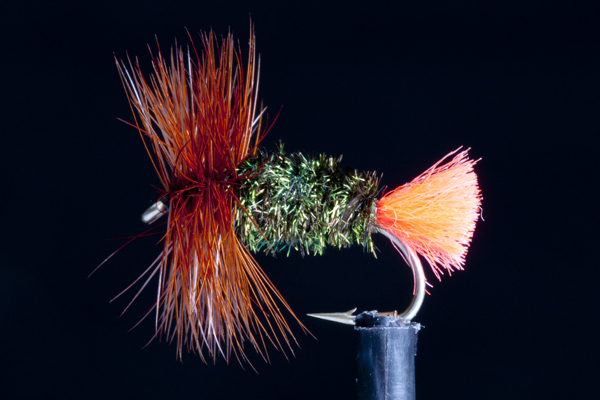 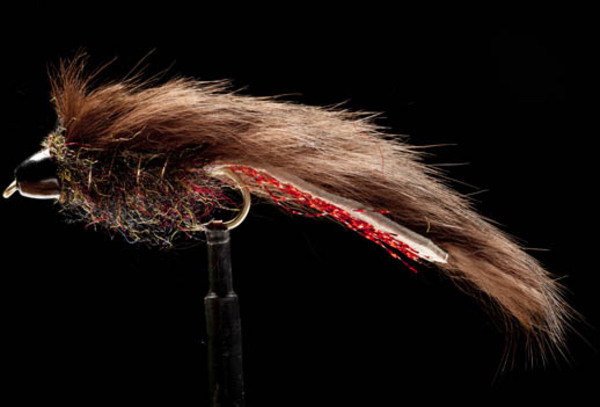 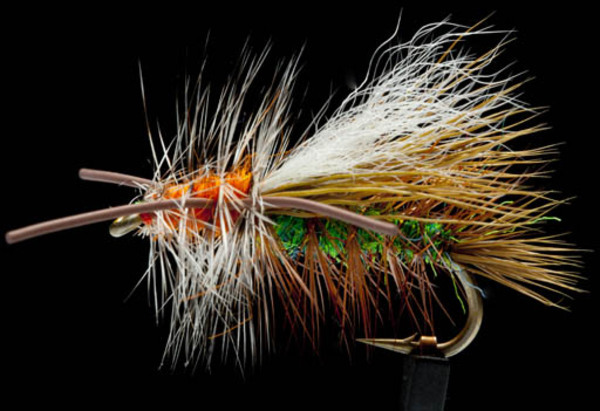 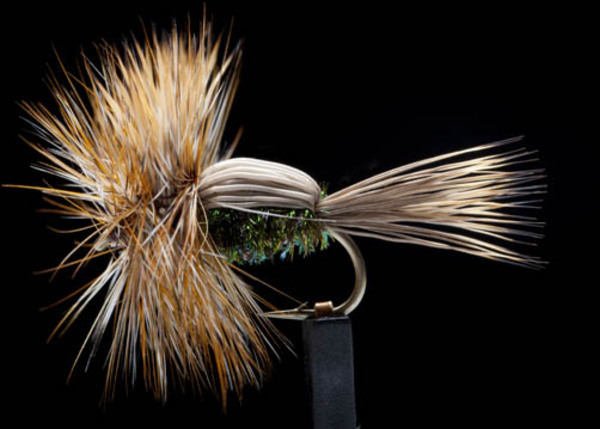 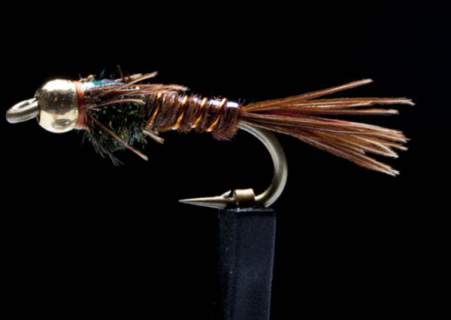 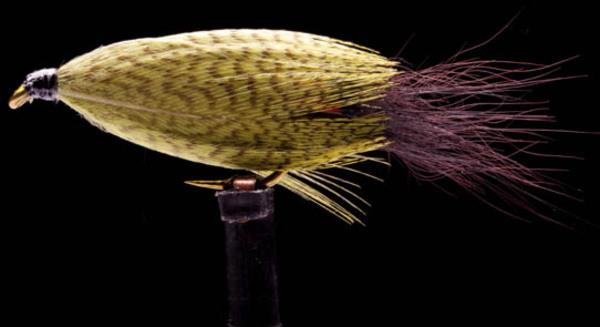 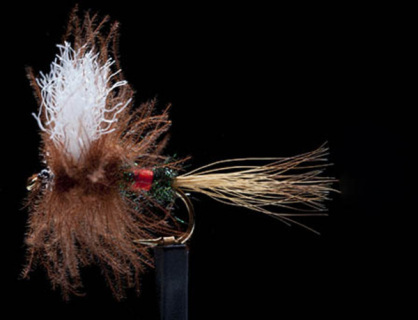 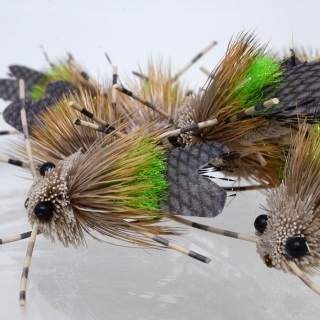 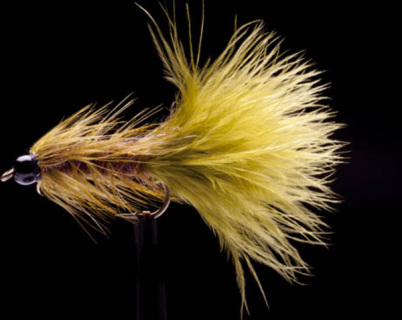 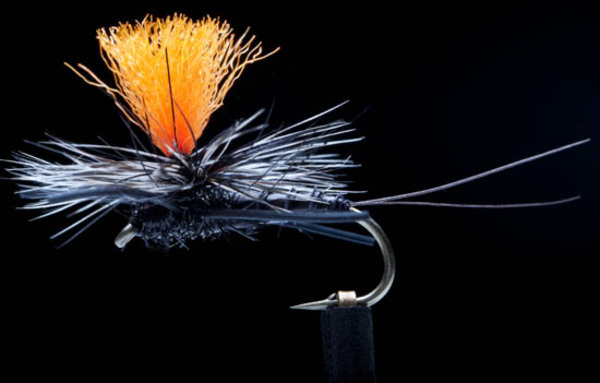 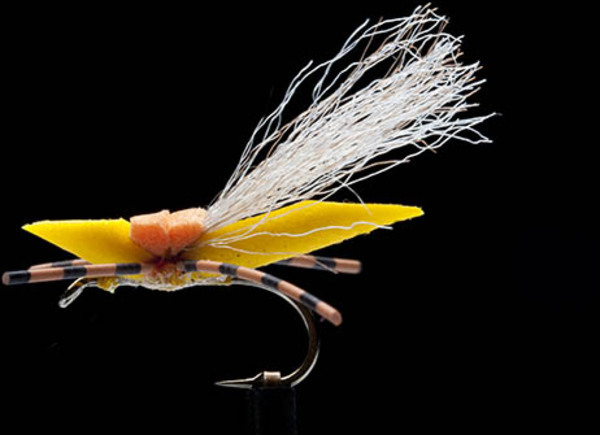 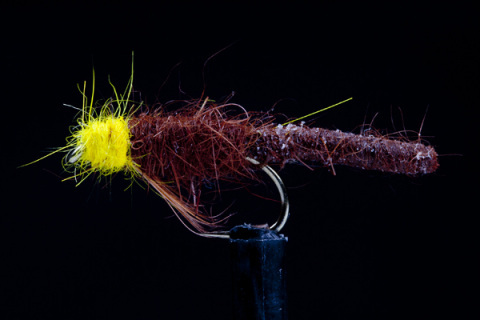 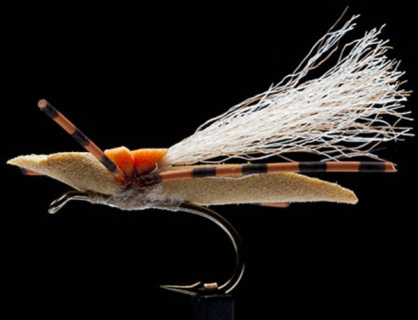 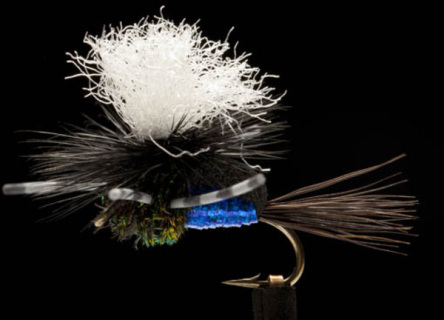 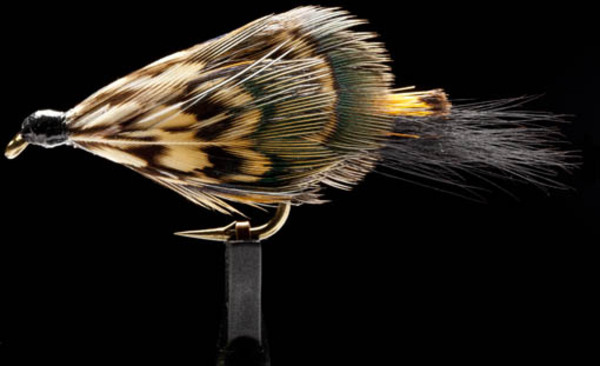 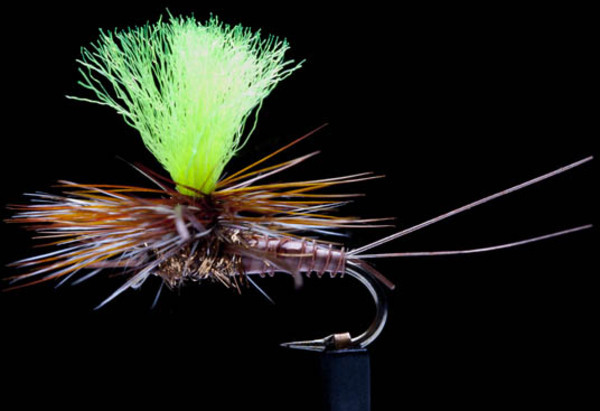 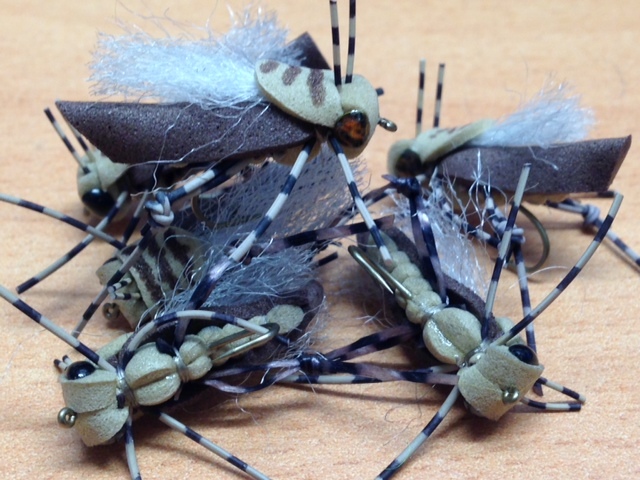 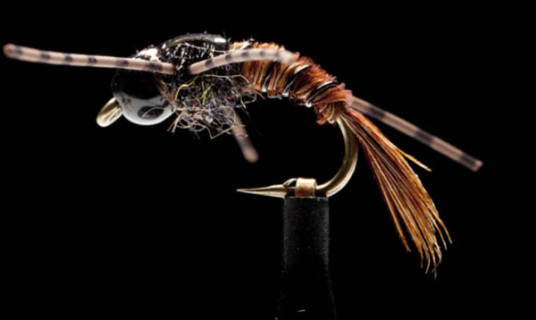 Not only do they make cool patterns that catch fish, they are also extremely well tied! 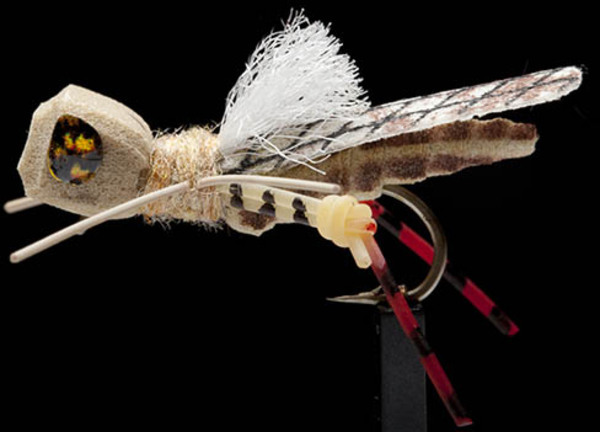 The fly is at the business end, so it's false economy skimping on it. The fish will certainly give you "the fin" if you do :). Available in Olive, Black and Tan. 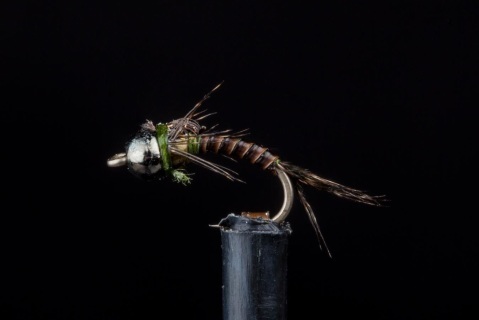 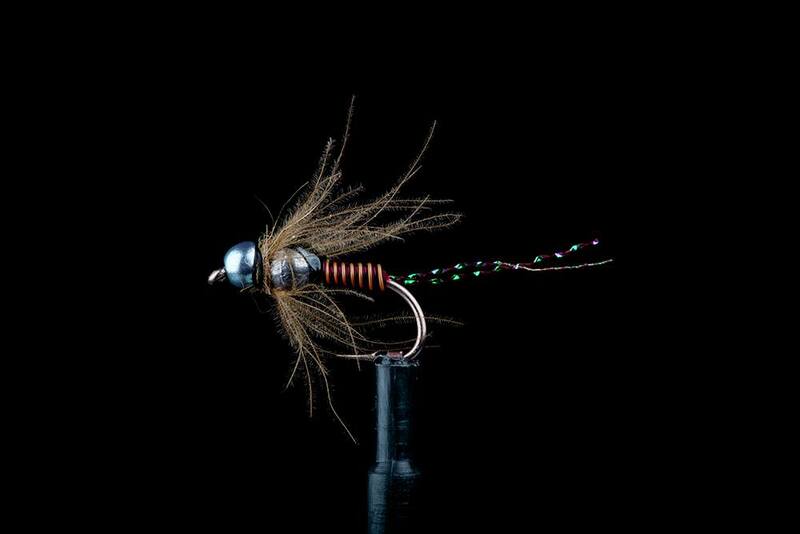 Slim body, tungsten bead, hotspots and lots of built in movement. 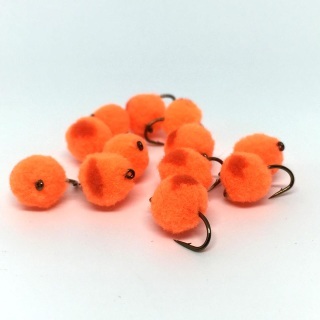 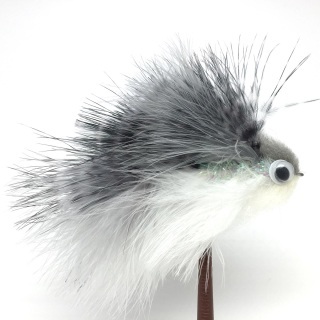 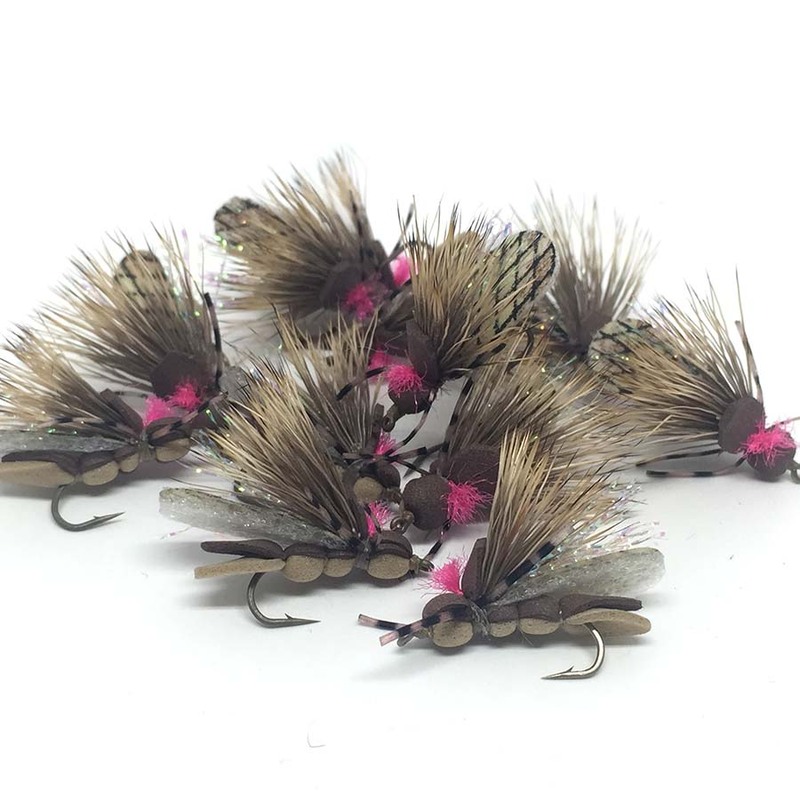 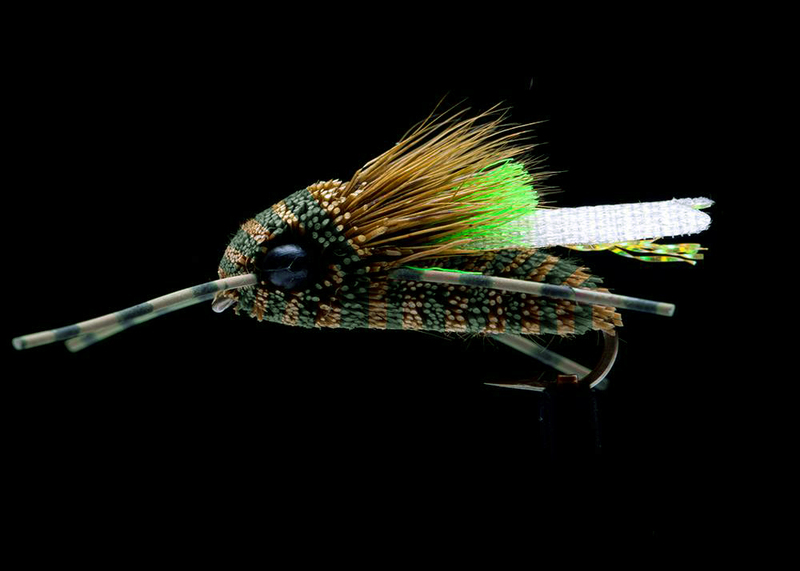 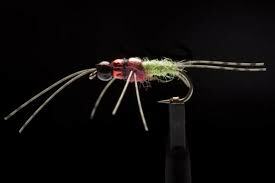 Fish these when you need your fly to stand out! 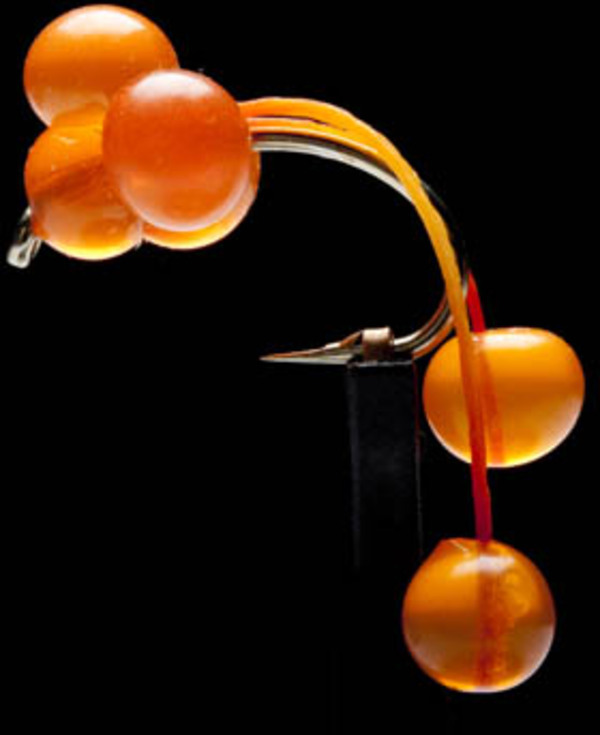 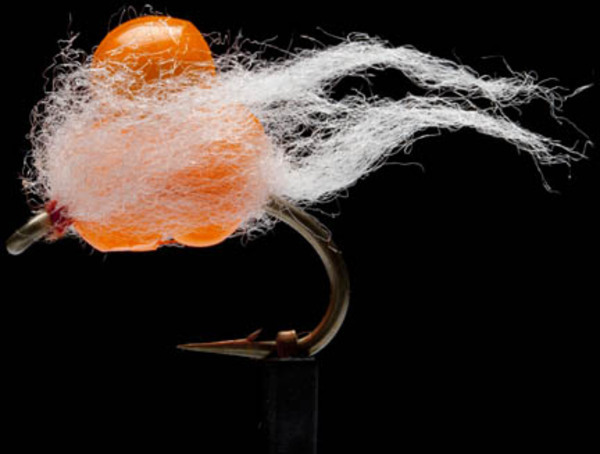 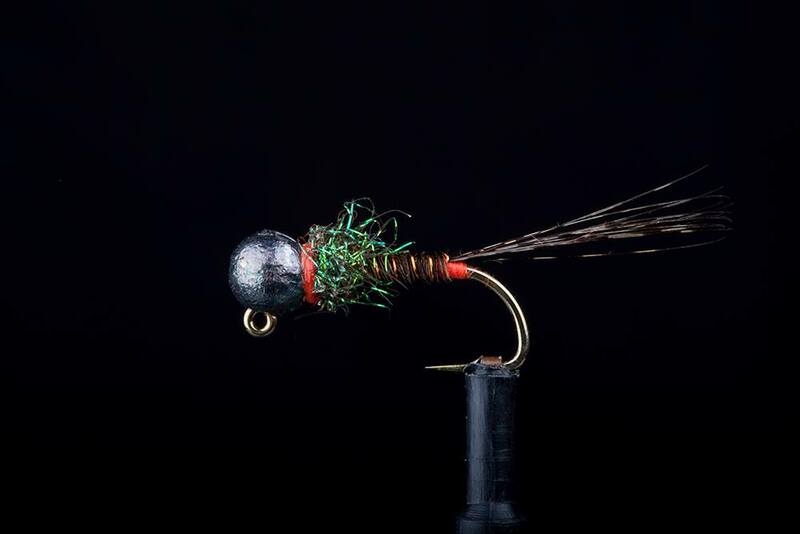 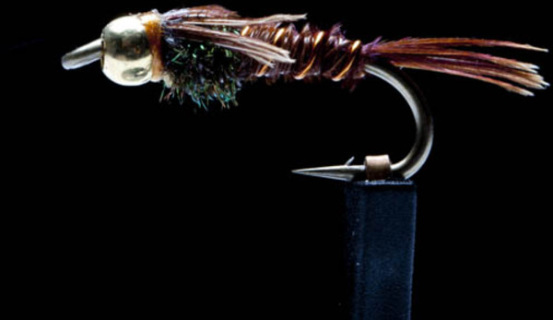 Hare and Copper with an Orange Tungsten Bead to get noticed and sink fast! Two tungsten beads on these bad boys! 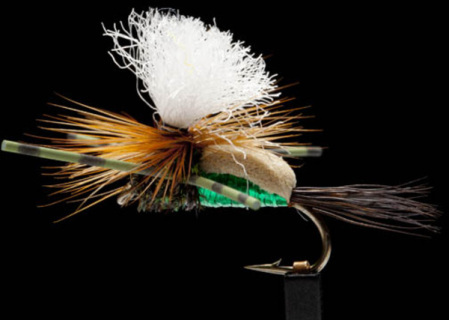 When you need to get down fast! 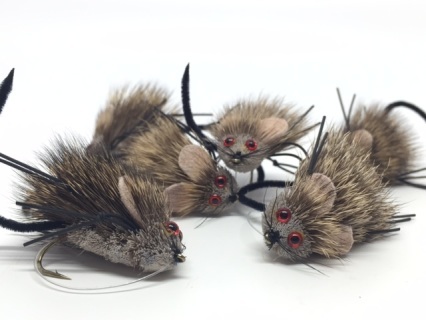 Whilst Simon Chu has been fishing these for a few years now, 'simons uglies' hit the shelves commercially only a couple of seasons ago. 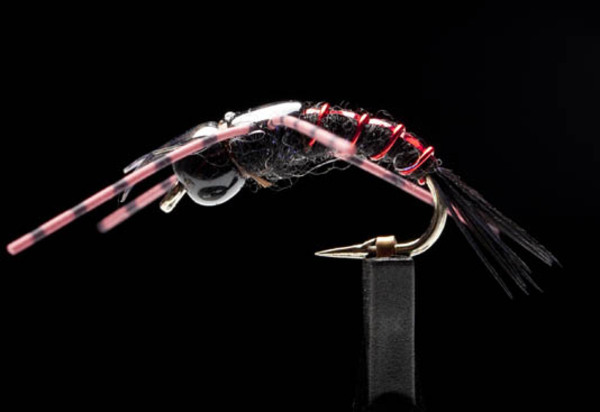 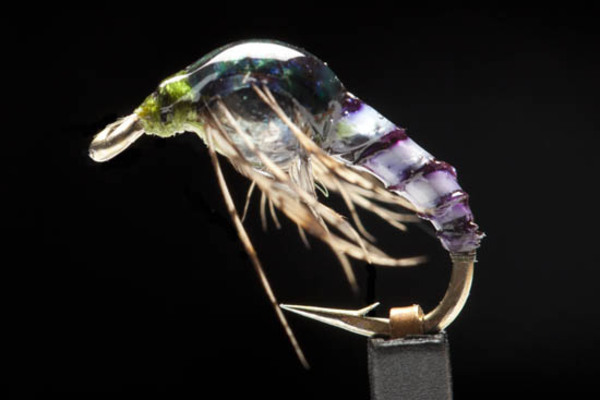 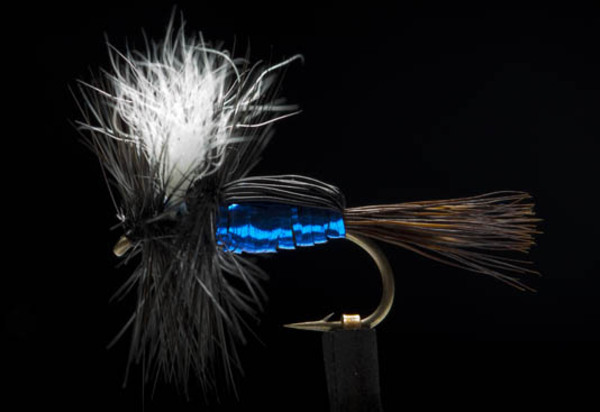 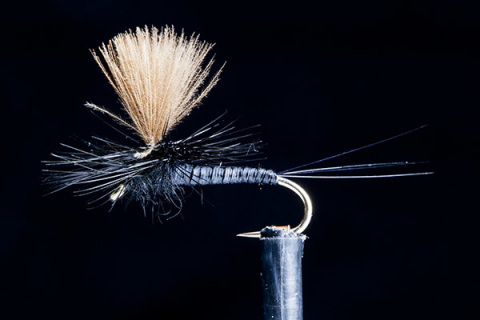 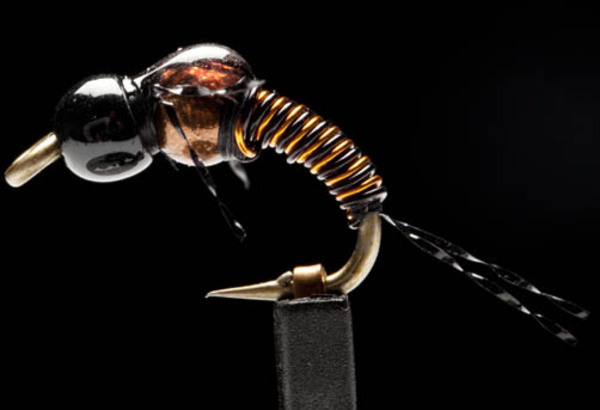 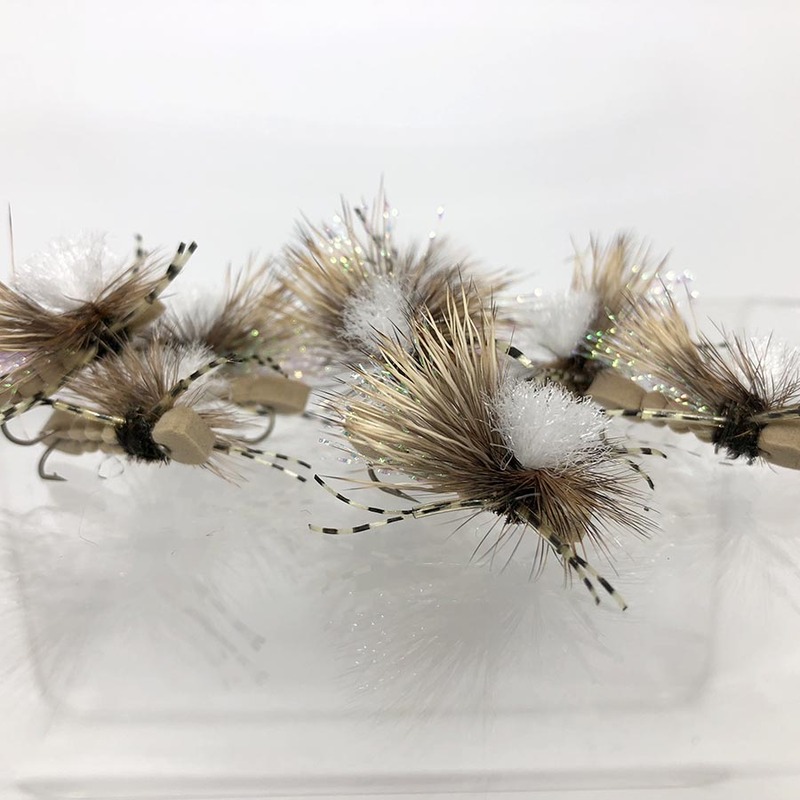 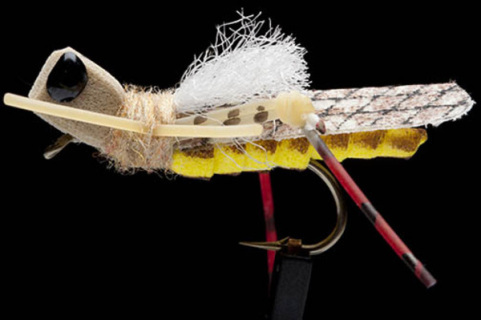 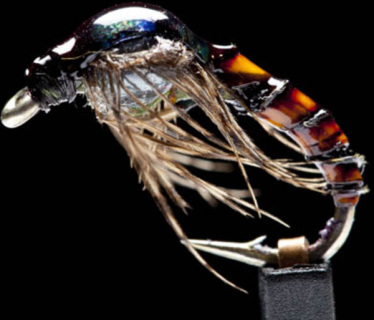 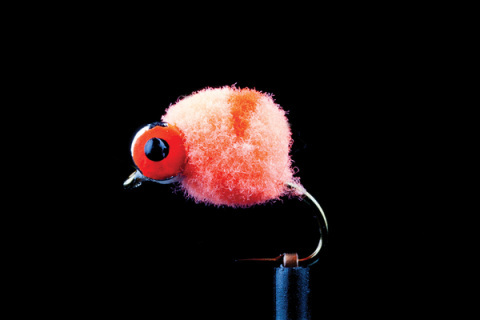 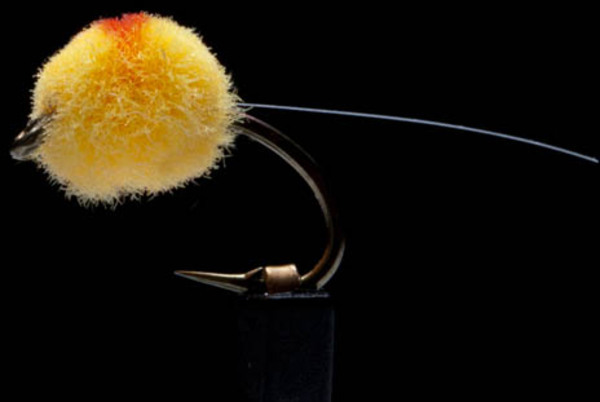 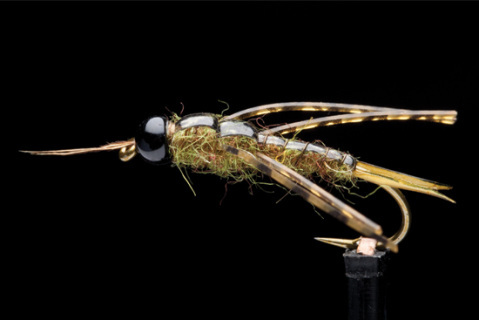 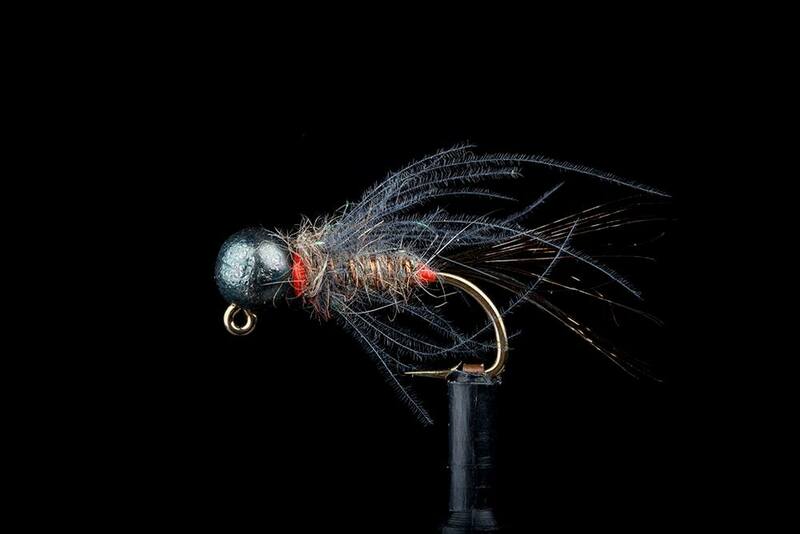 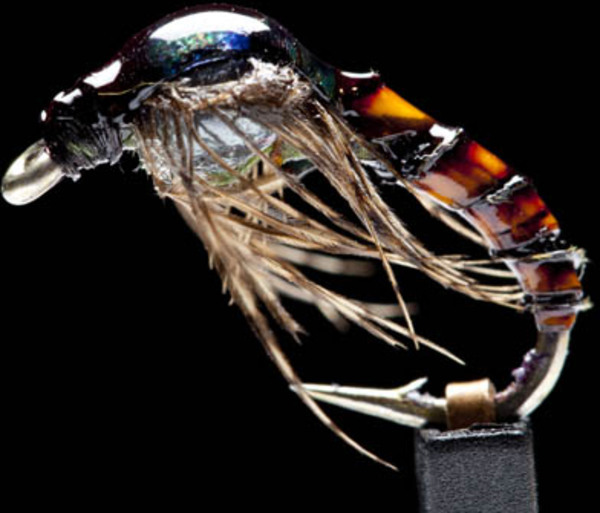 A bling fly that gets noticed with its flashy materials, provides movement with rubber legs, and most importantly, gets deep via quality, double tungstan beads and slim profile. 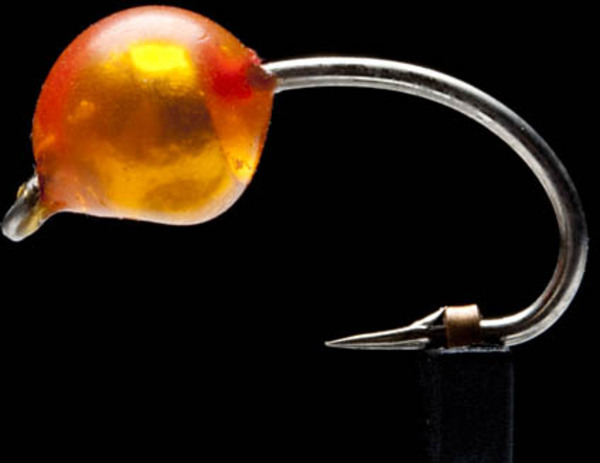 Two tungstan beads - how simple is that? 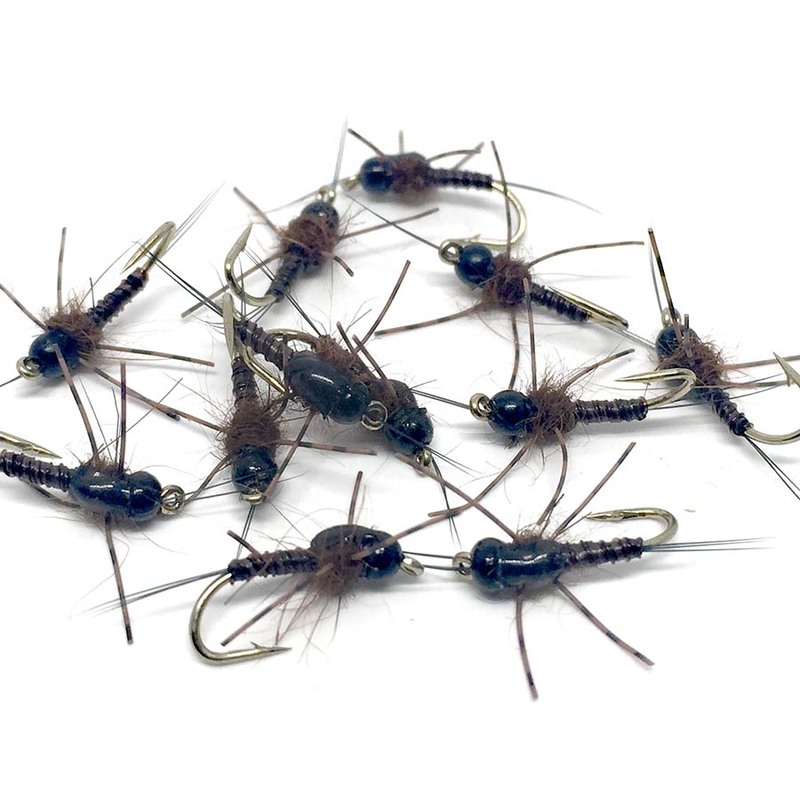 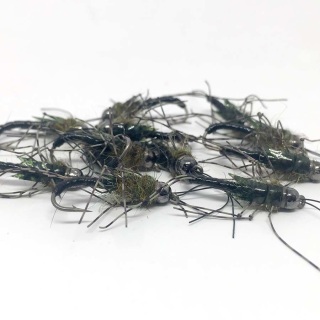 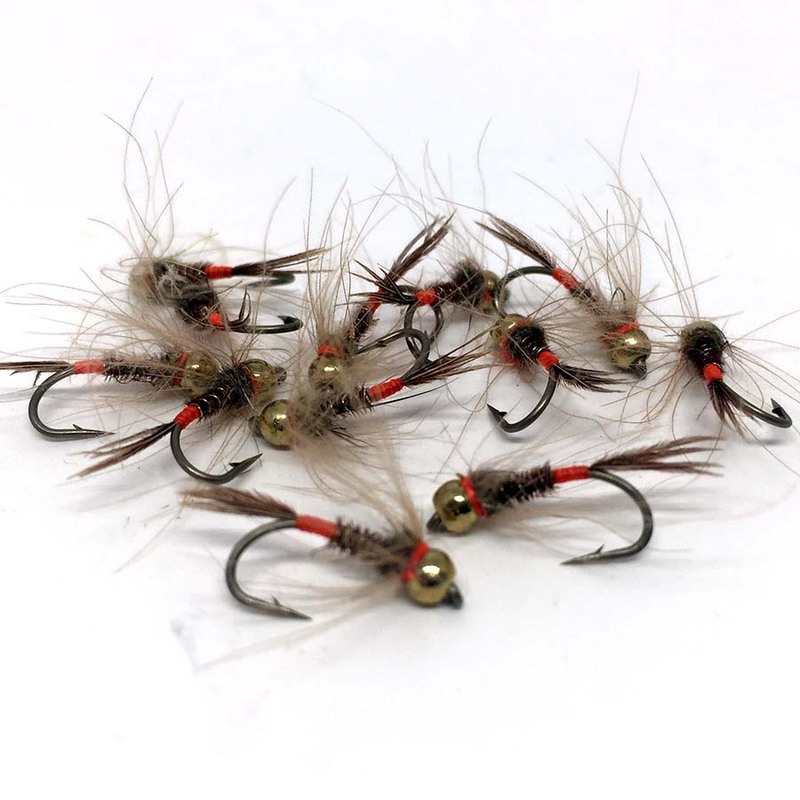 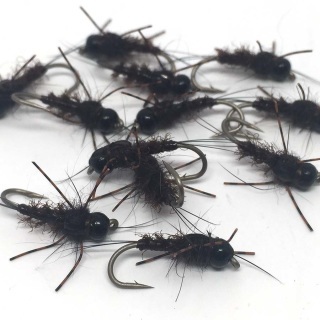 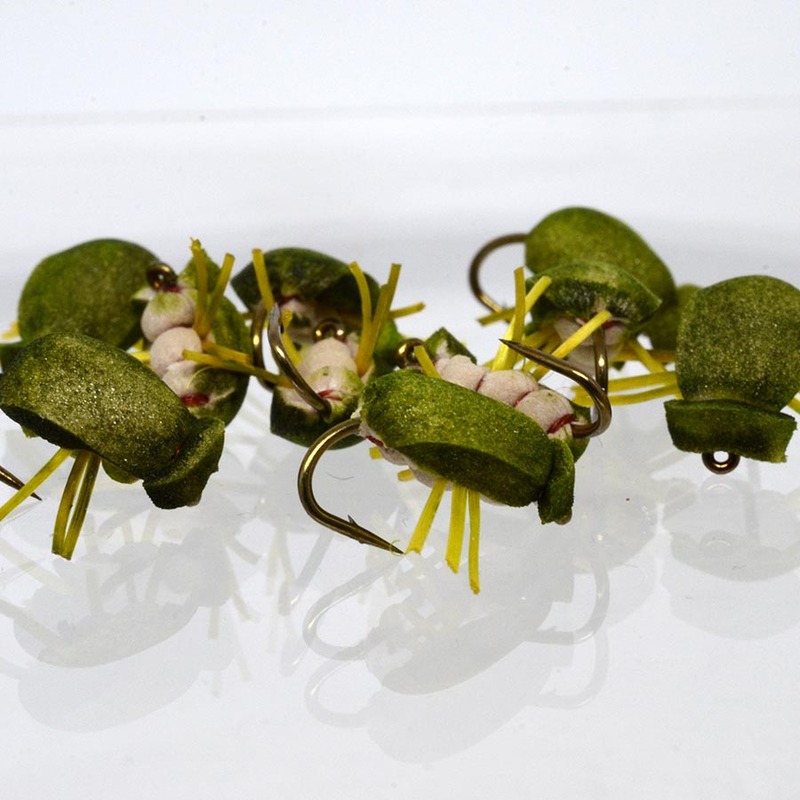 The new Manic Silly Stone ticks all of the big nymph boxes, available in a size 10 in brown & green with rubber legs these won't go unnoticed, and with plenty of weight in the tungsten bead you know you'll be getting down into the trout's feeding zone. 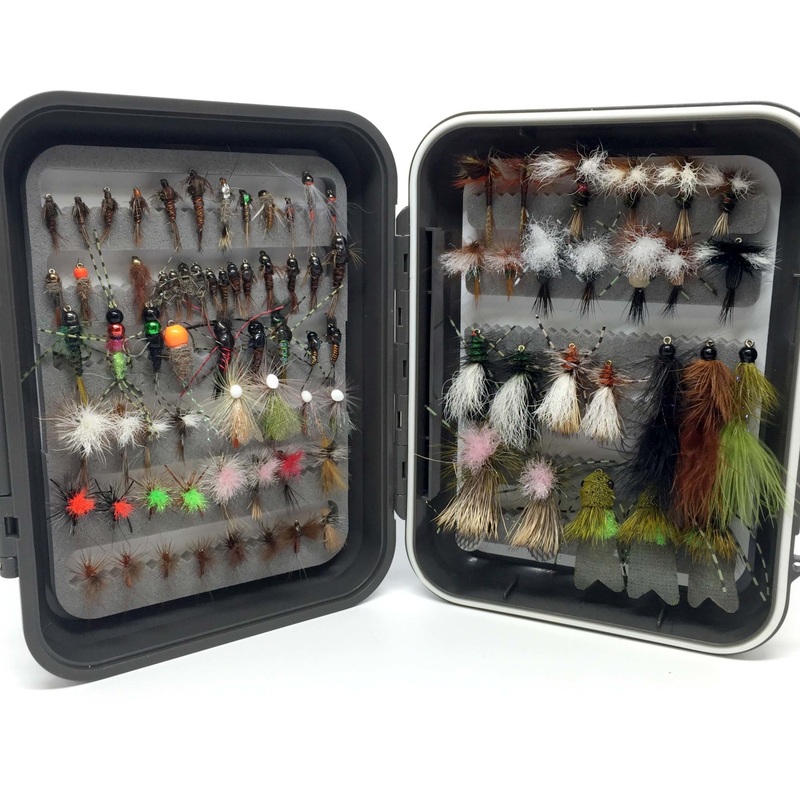 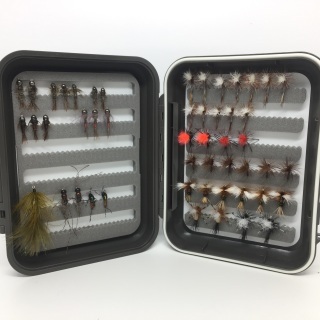 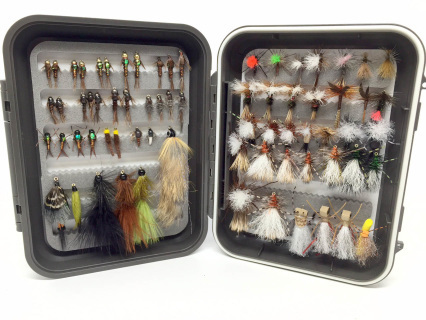 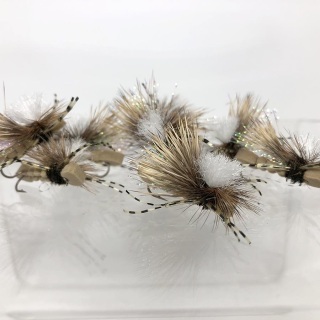 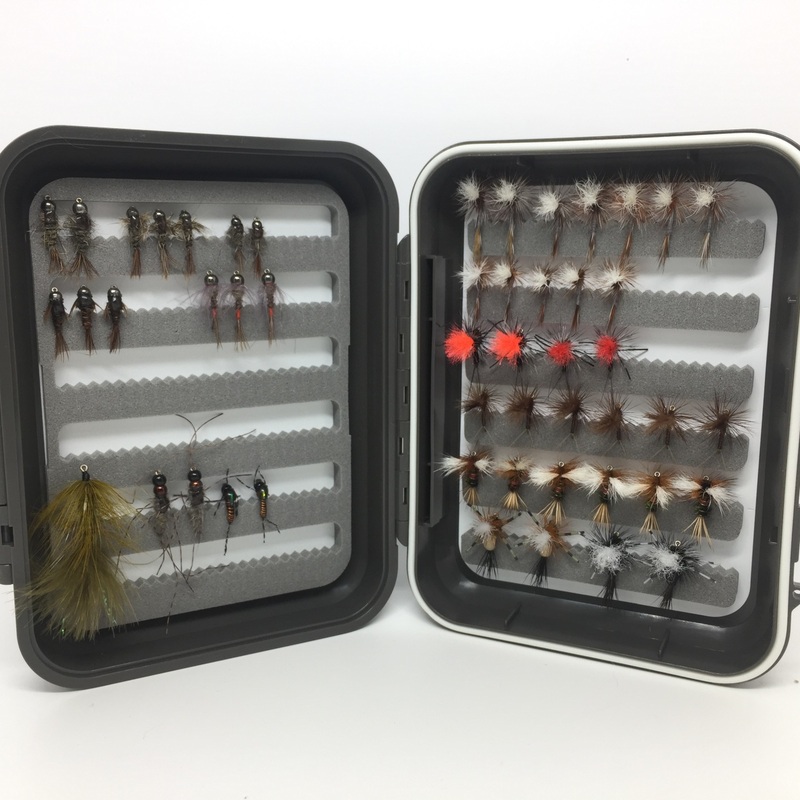 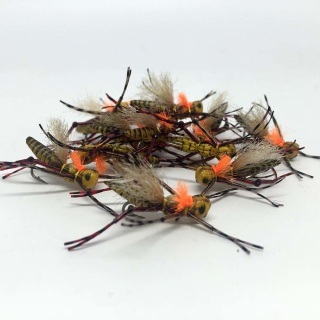 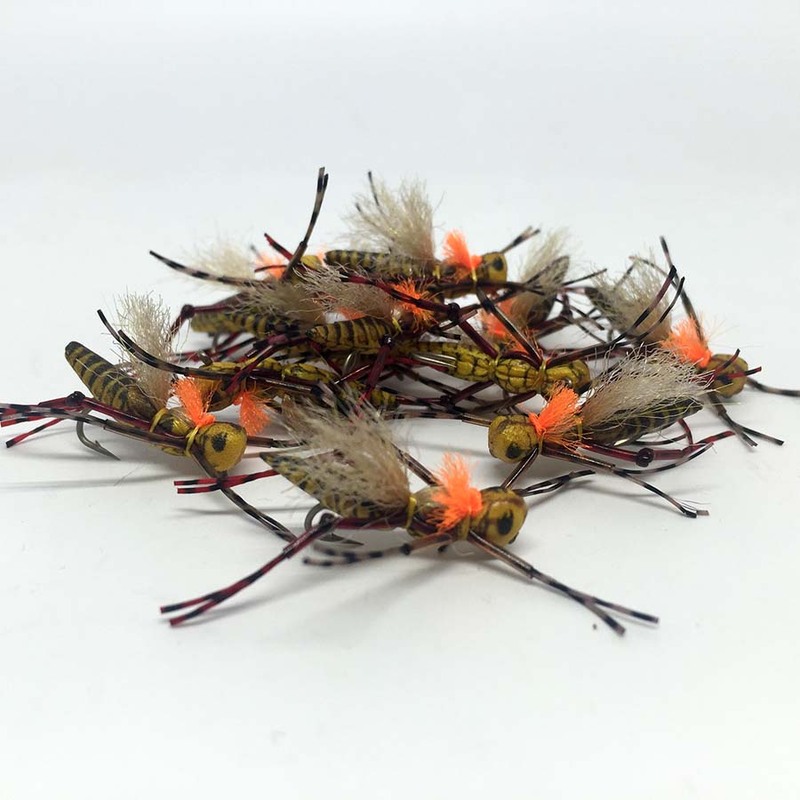 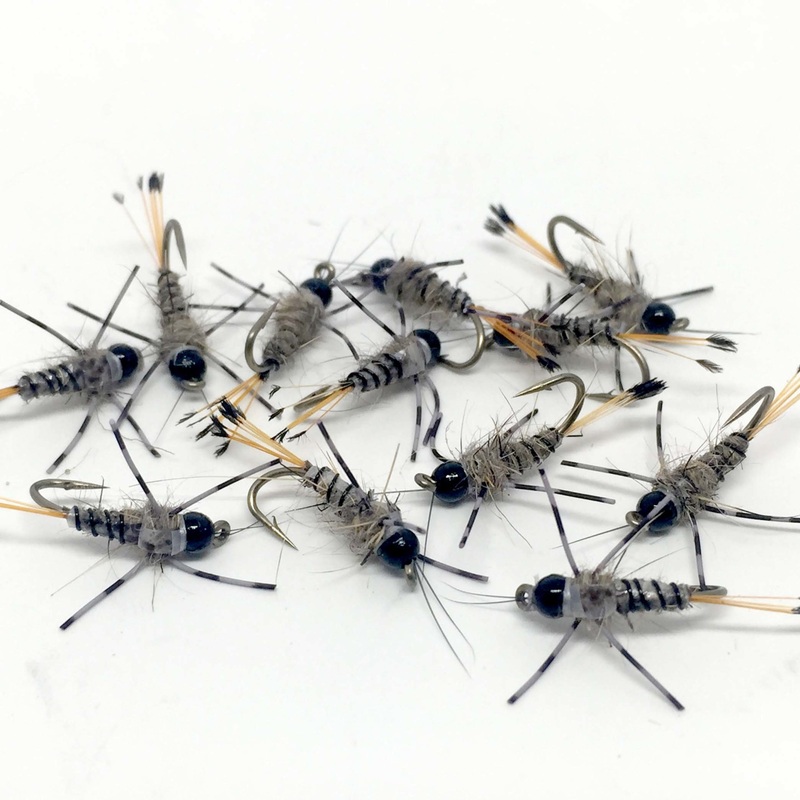 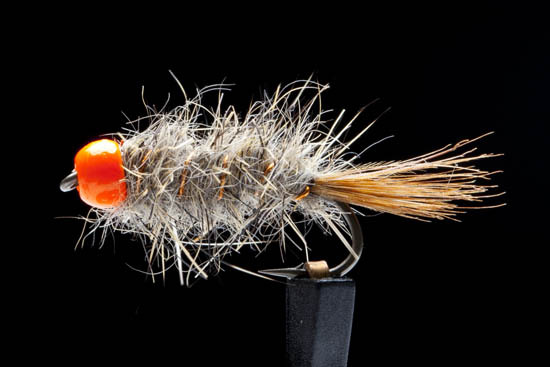 October and November are prime months for these flies but they should be a fly box staple all season. 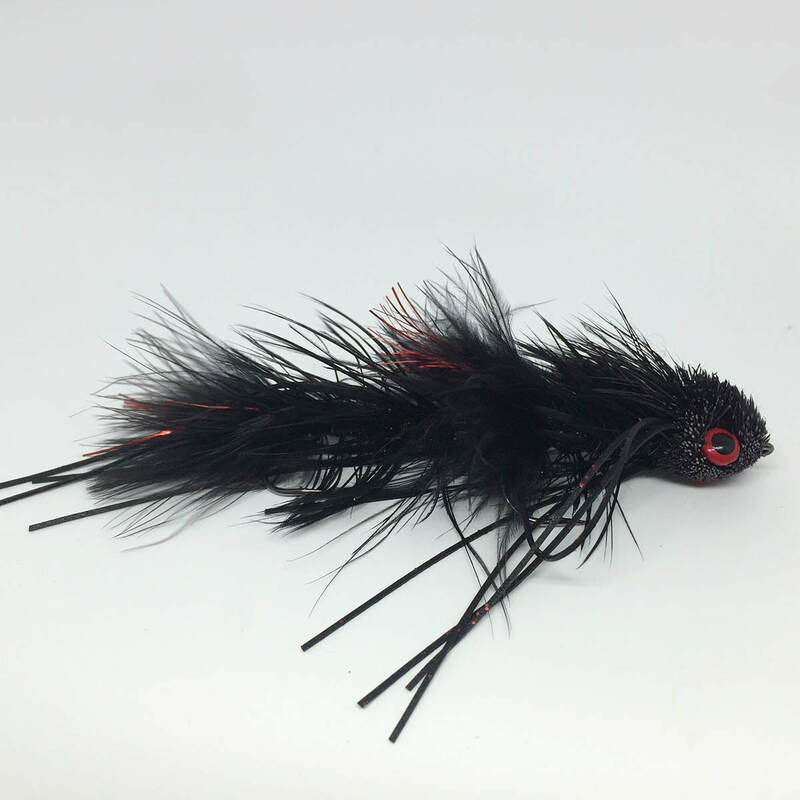 "The Dungeon is a monster fish producer. 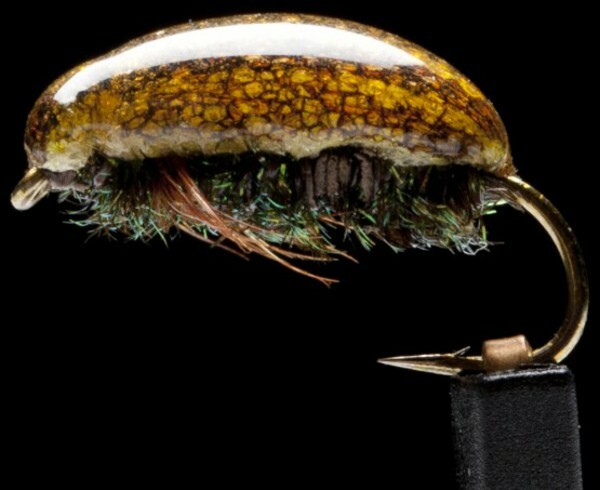 It has everything going on, and brings out the the worst in big trout." 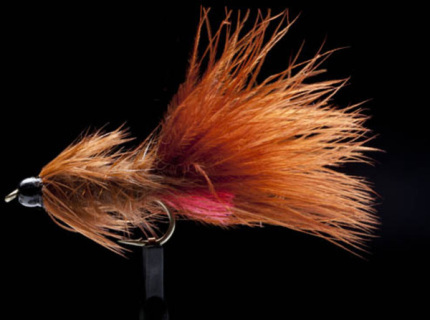 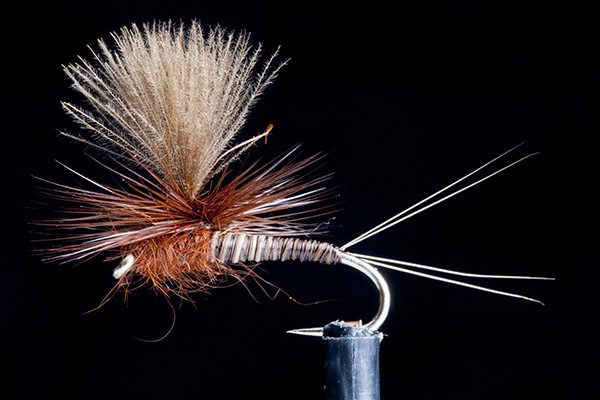 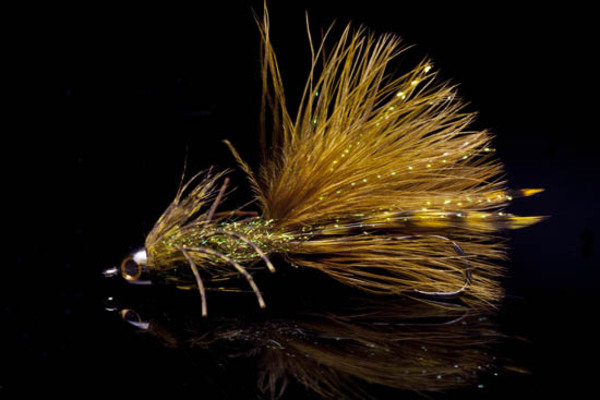 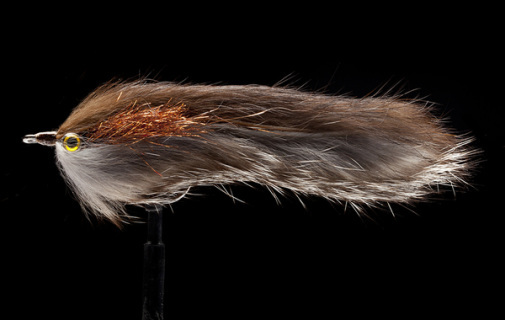 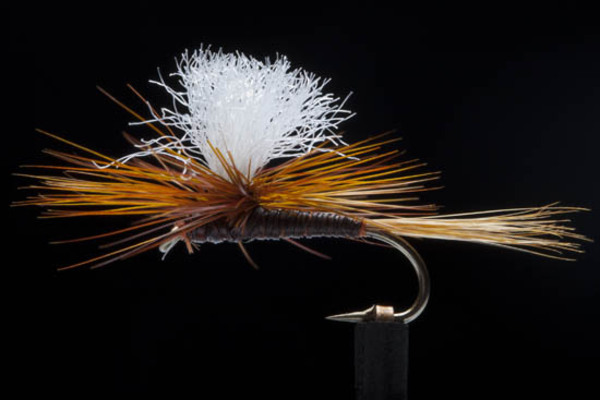 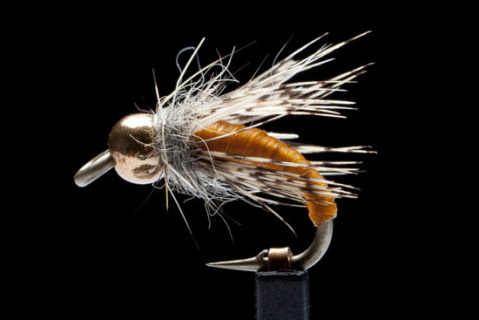 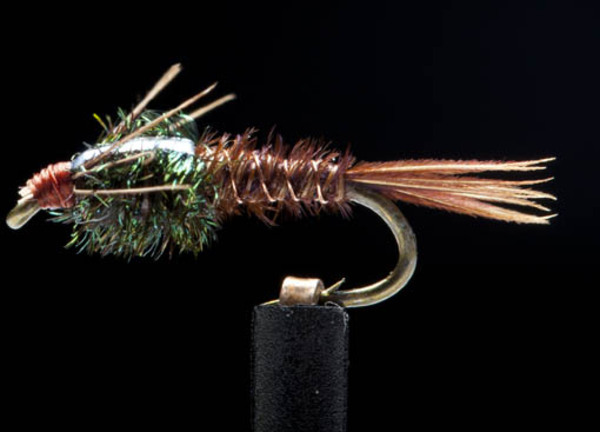 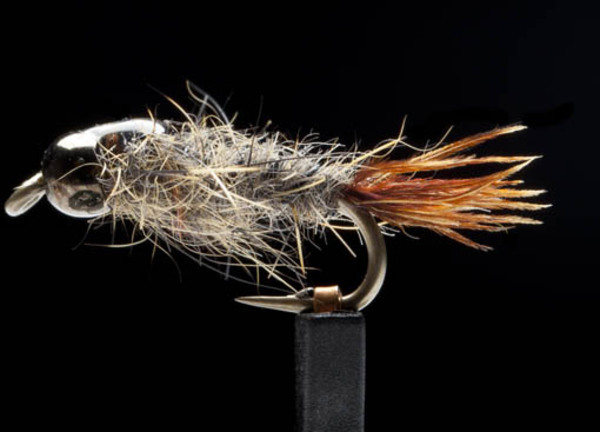 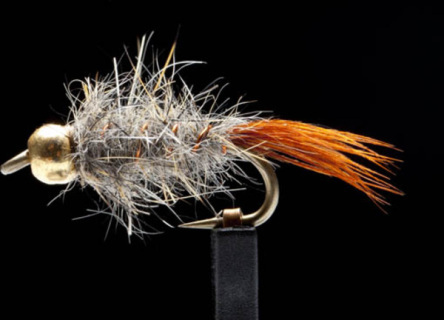 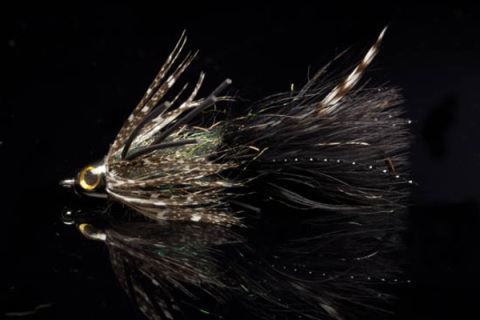 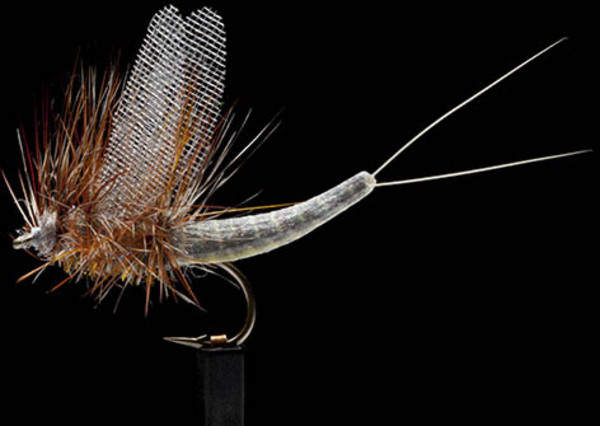 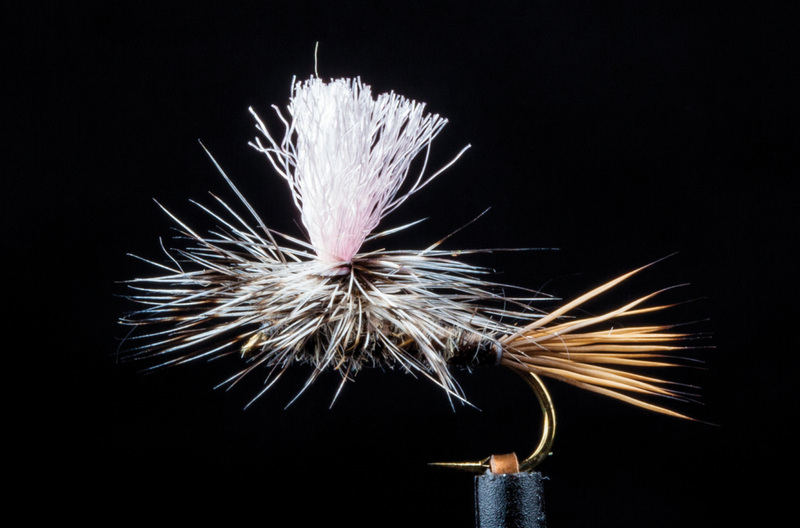 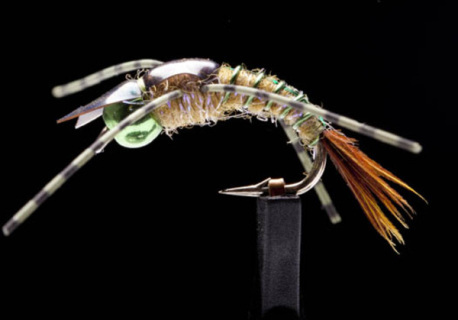 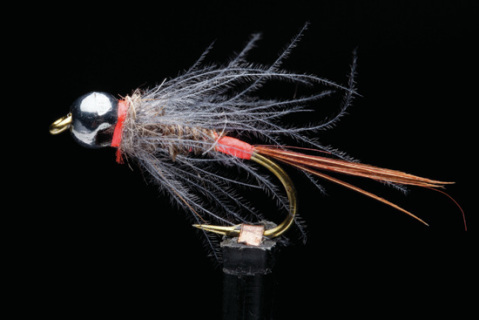 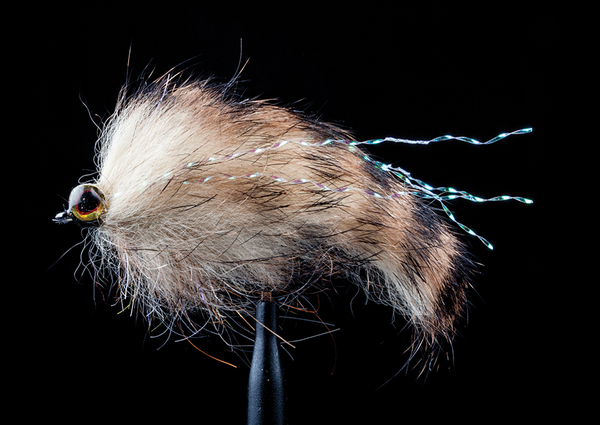 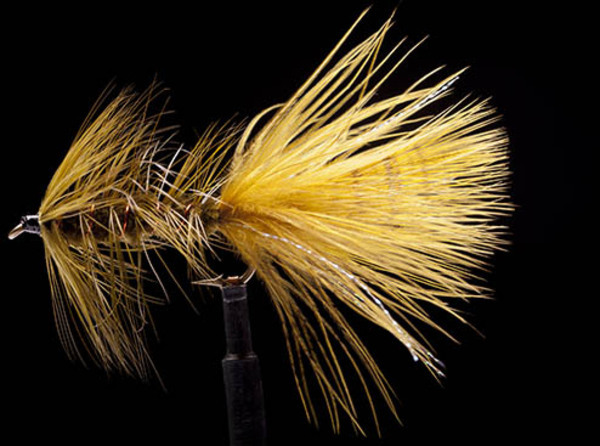 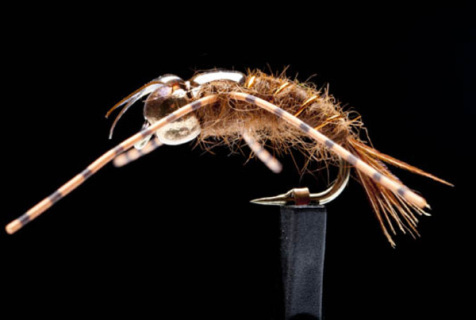 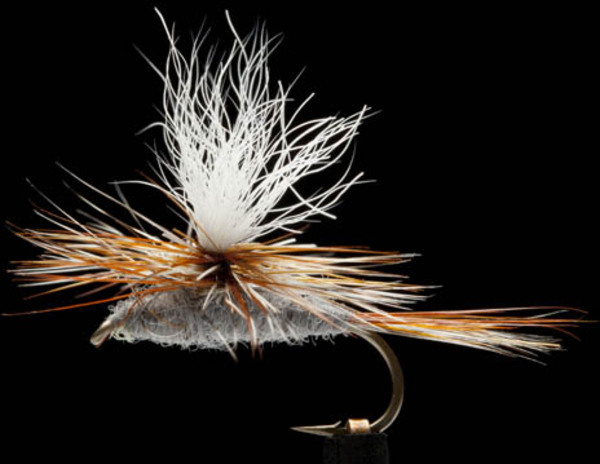 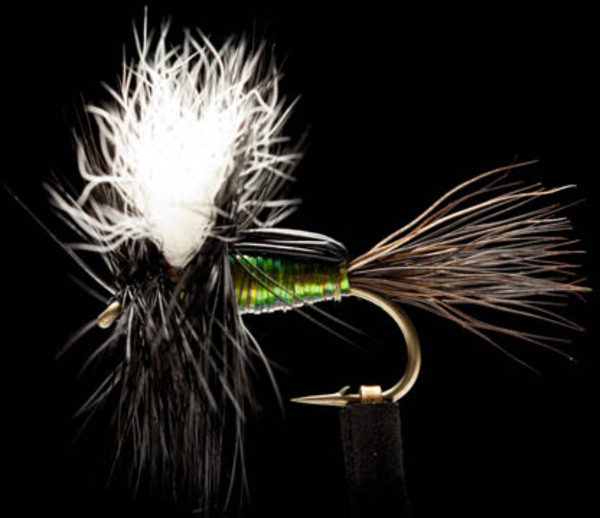 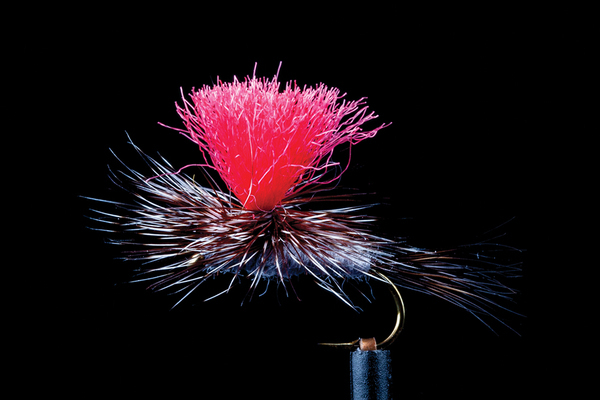 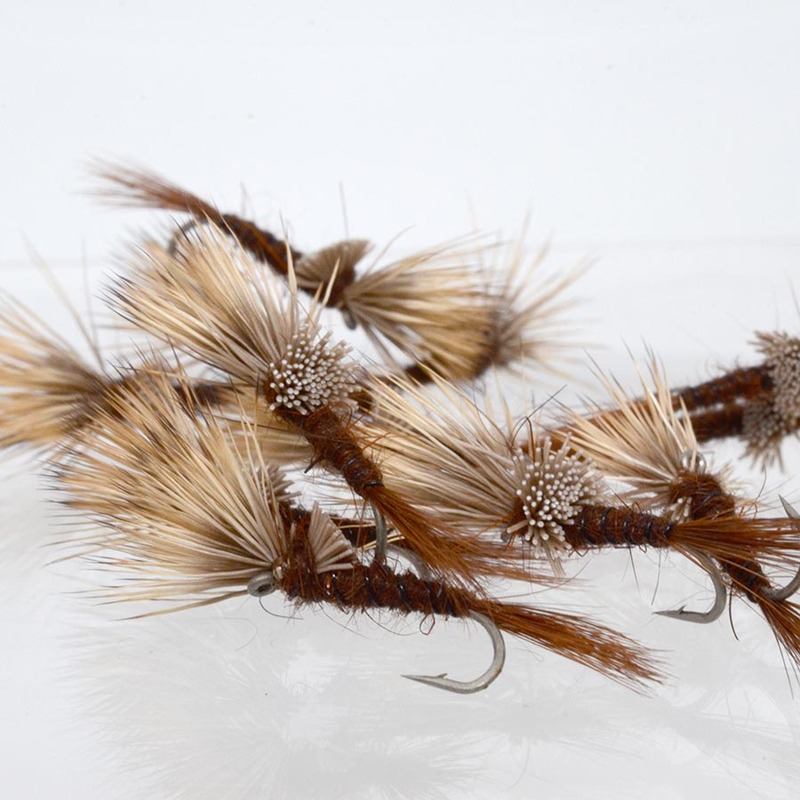 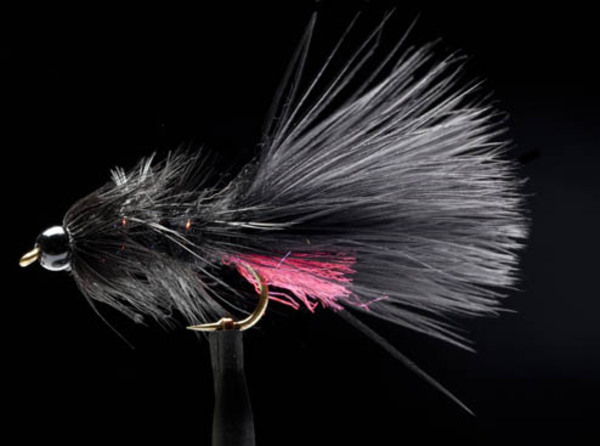 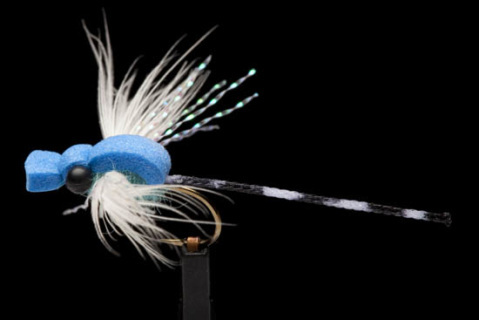 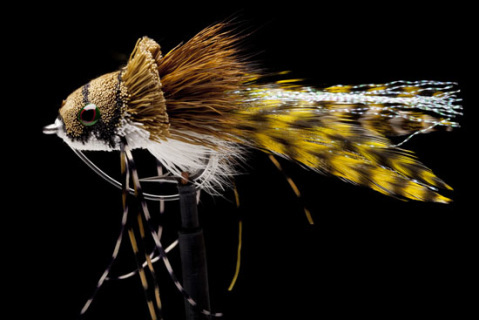 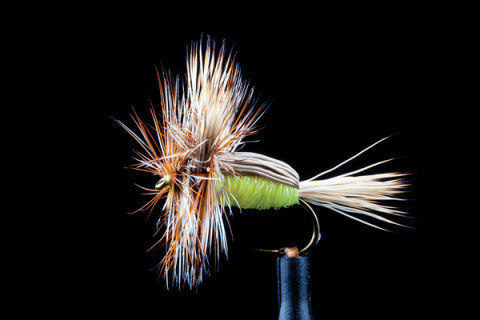 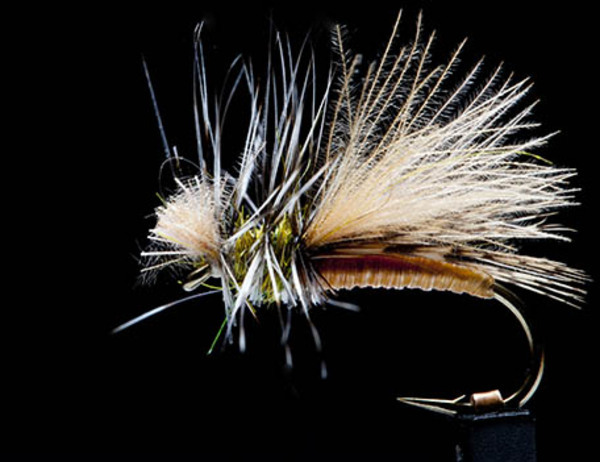 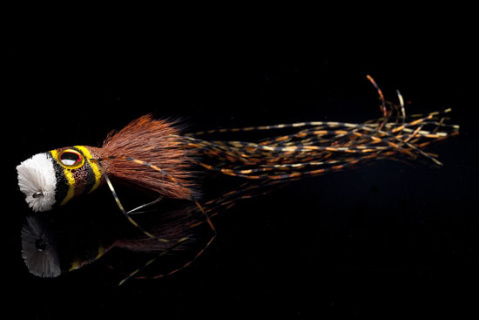 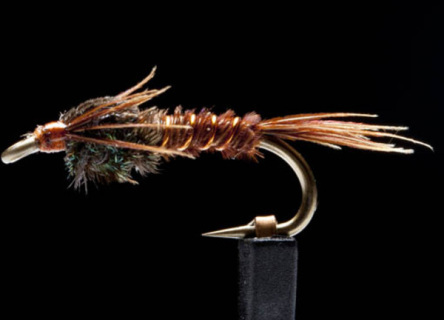 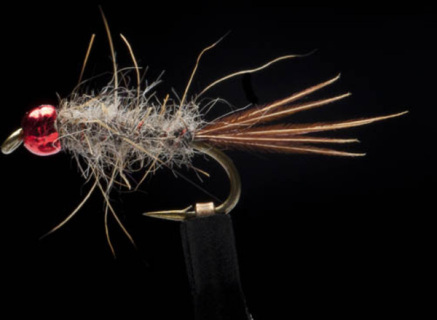 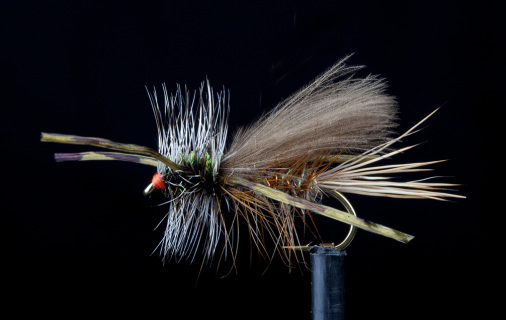 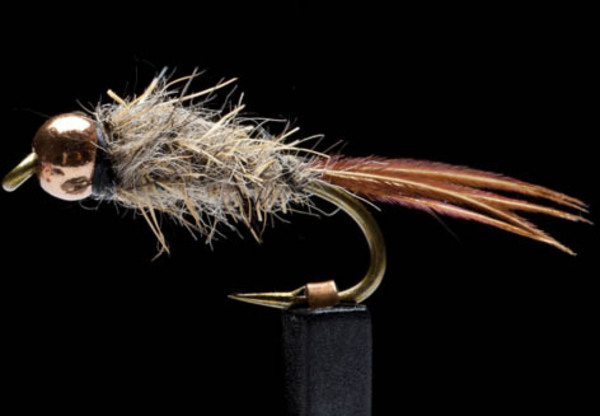 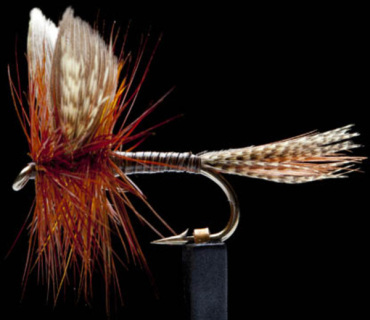 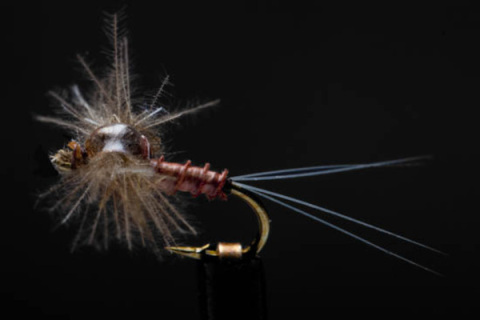 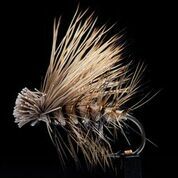 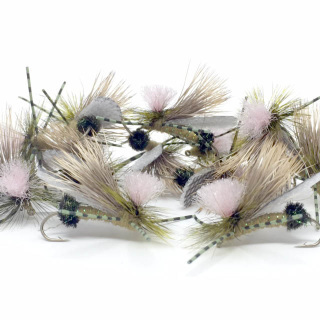 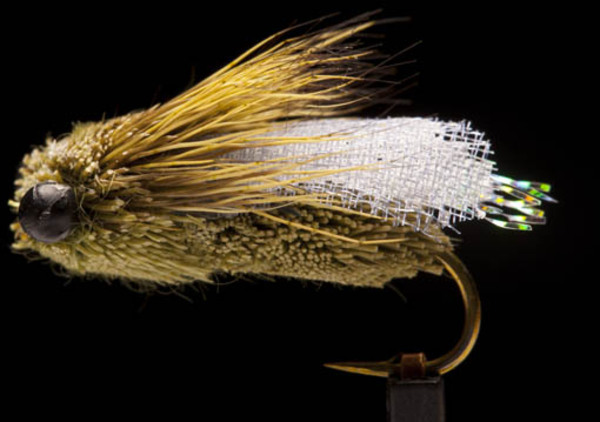 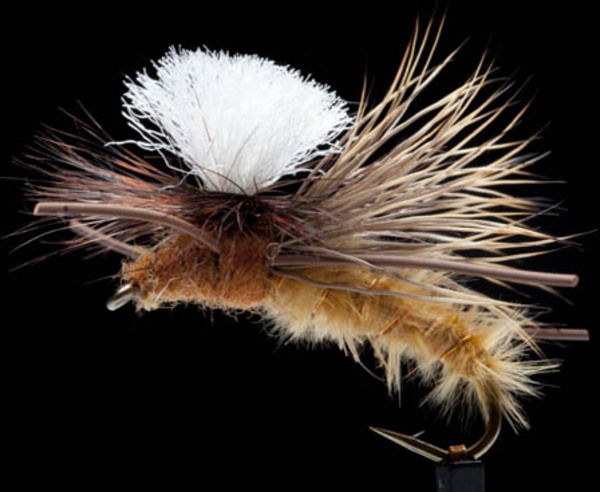 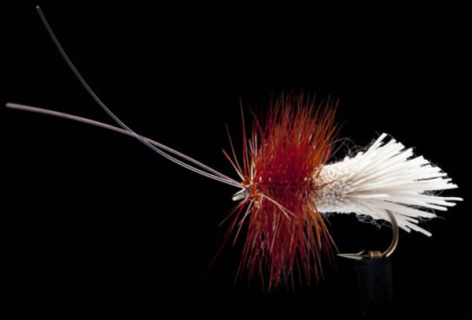 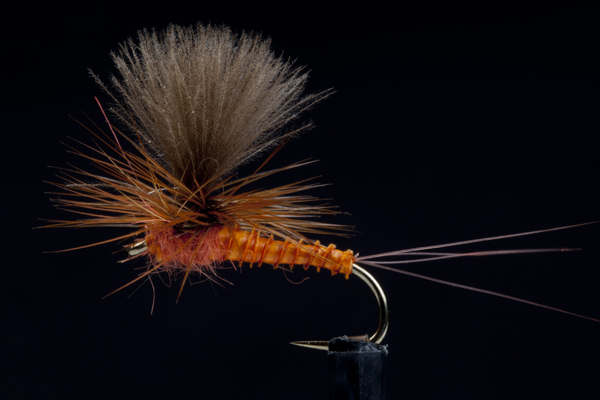 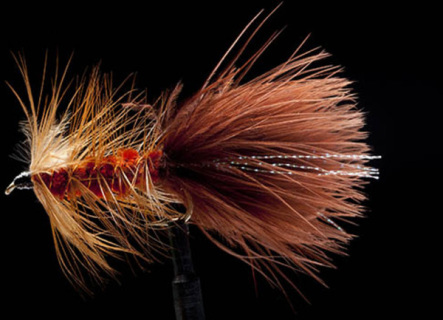 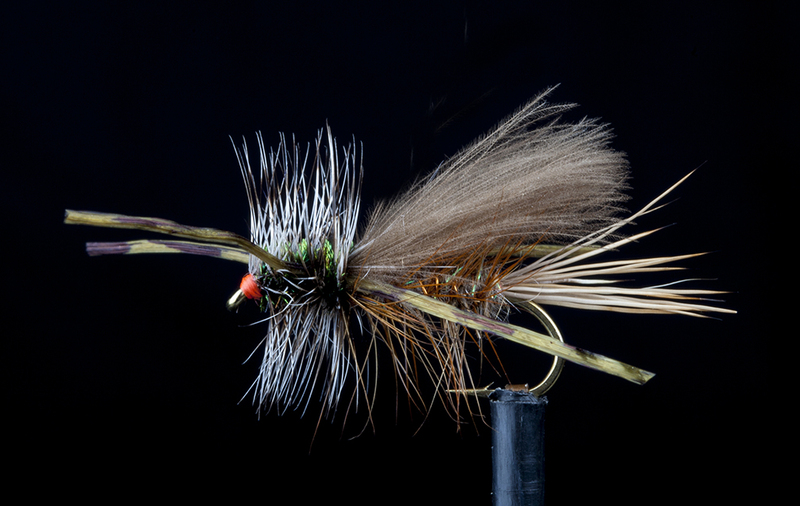 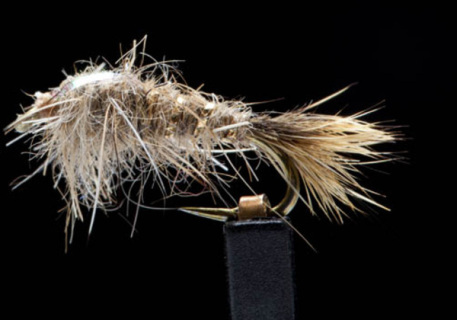 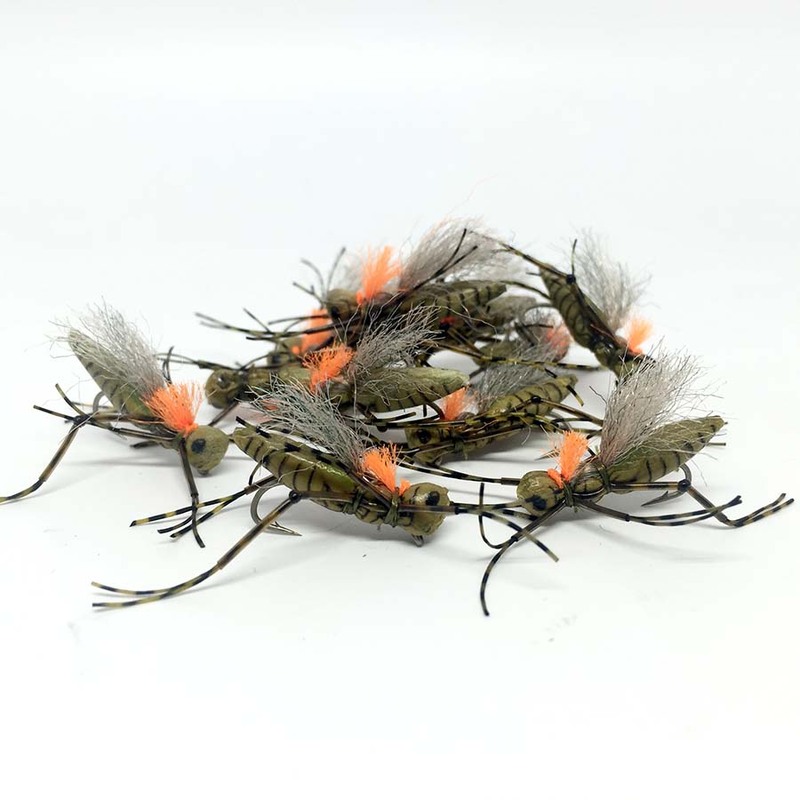 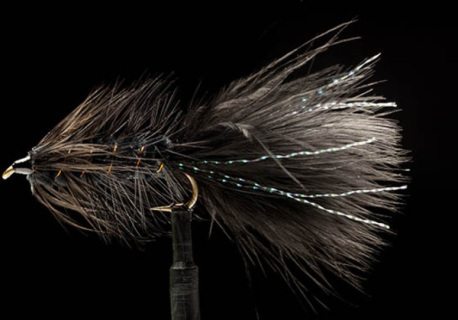 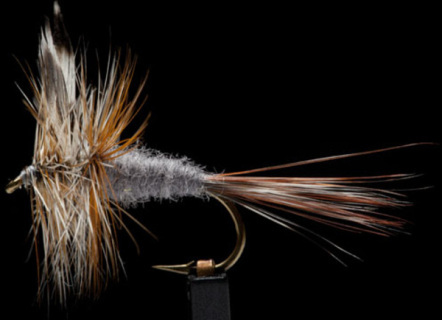 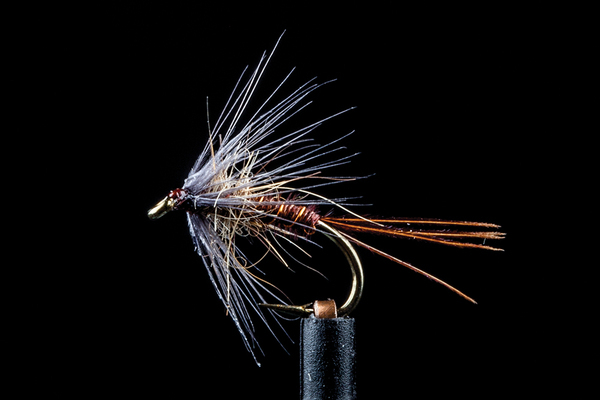 I have found this to be an essential BIG trout fly for New Zealand, a real must have for anyone headed over the ditch. 10cm long, articulated, 2 hooks.